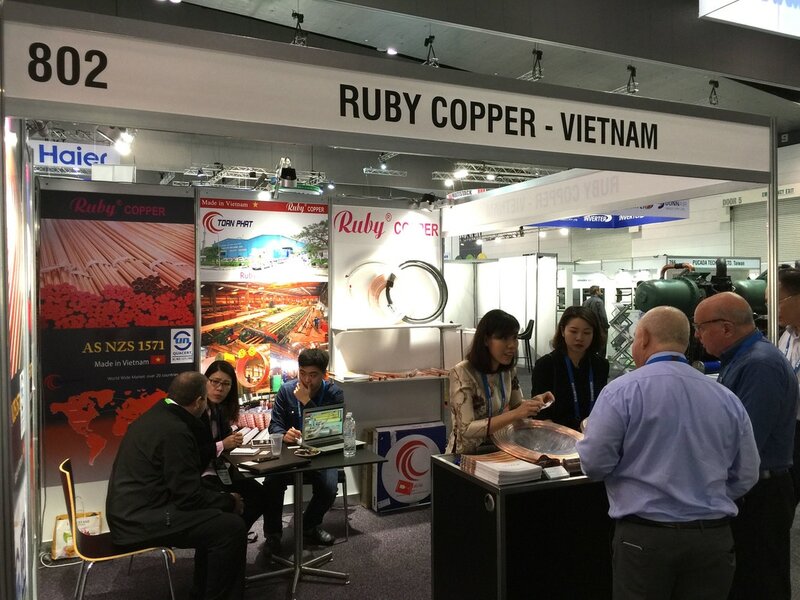 Implementing business strategies to expand global markets, Toan Phat has opened exhibition booth in Australia's only international trade exhibition for the Air Conditioning, Refrigeration and Building Services Exhibition from 17 to 19 May 2016 . 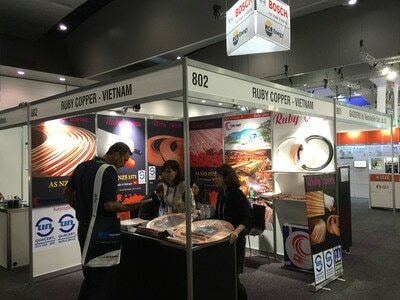 For the first time attending an exhibition in Australia, Toan Phat has achieved impressive results. 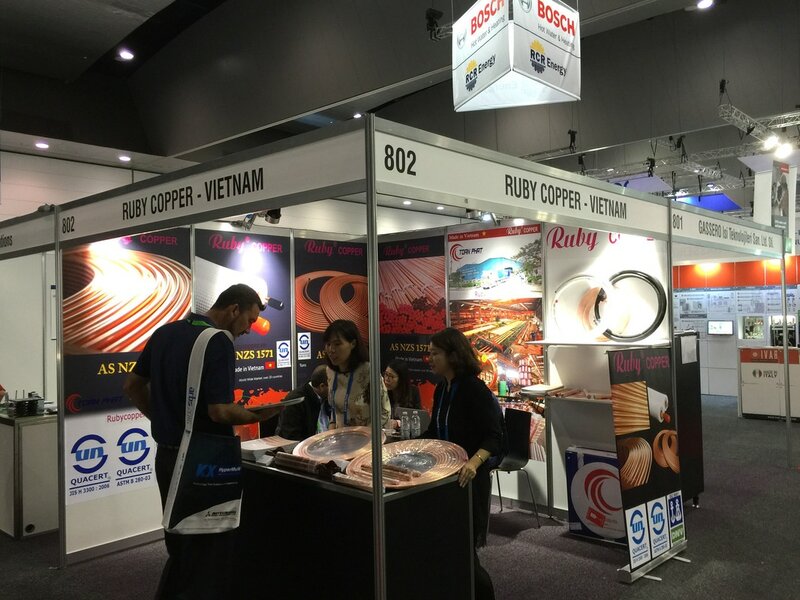 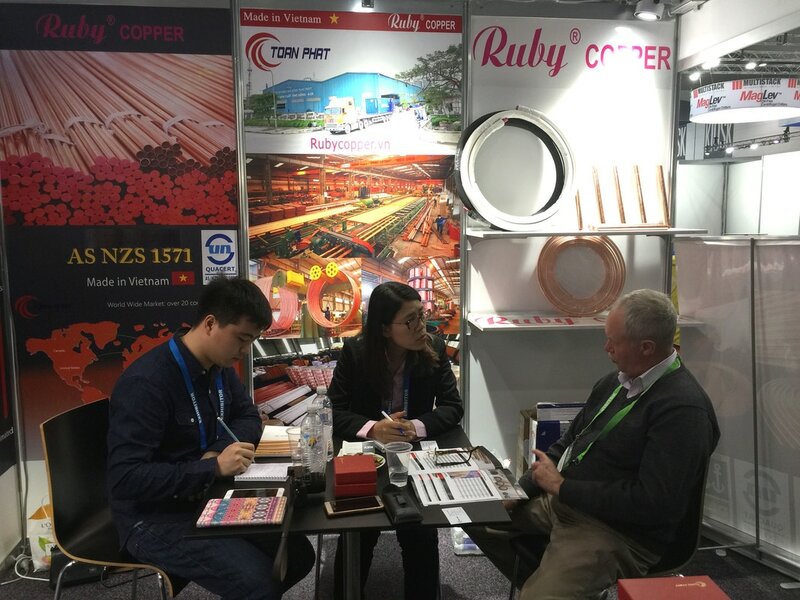 Ruby Copper products (Toan Phat brand dedicated to foreign markets) have attracted considerable interest from commercial customers as well as manufacturing plants in the exhibition. During the exhibition Toan Phat has received the first orders from Australian partners.